yet be active and enjoy an unforgettable holiday with your children. If you are looking for delightful coziness and hearty hospitality then our house is the right spot! Family Eiterer warmly welcomes you! WELCOME TO THE SCHULLEHRER FARM! The perfect holiday destination throughout the year! provided by our lovely furnished holiday apartments and luxury rooms. Apartments sleeping 2-7 persons are delightfully furnished and feature all conveniences you need for a relaxing holiday. for many hikes, excursions and other sports activities. While you relax on the sunbathing lawn or in the arbour, your children may romp around in the adventure playground. all the recreational facilities guaranteeing delightful and relaxing holidays on the following internet pages or call us! 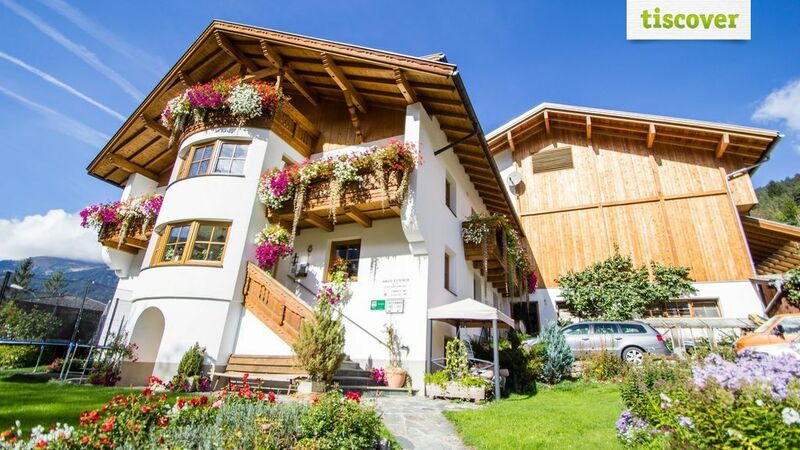 yet in the heart of the top ski areas of western Tirol! Especially the central location of our village guarantees a perfect holiday. All the major skiing areas like Fendels (8 min), Ladis-Fiss-Serfaus (15min) and the Kaunertal glacier (40 min) are nearby. The ski bus stop taking you to the Fendels and Kaunertal glacier ski areas is only a 2 minute walk away. in our lovely and comfortably furnished apartments or luxury rooms.